Finally, Learn How to Use Cloud Email Effectively So You Can Increase Your Email Deliverability Rates and Reach More Readers, Without Paying Hefty Monthly Fees That Break The Bank… Starting Today. This specific training course was designed to help you watch over my shoulder, step-by-step, click by click, to ensure that you are able to successfully and effectively set up your email marketing campaign. This specific video shows you how everything works and how the pieces of the puzzle are put together, so that when you implement this system within this video training course then youll be able to put together your email system more effectively. Youll also learn exactly what tools you will need in order to get this system up and running. In this specific video I compare different autoresponder services, and show you the results that I got when I tested them. I will cover third-party autoresponder services, cloud SMTP, Web server hosted scripts, and Amazon AWS. I will also show you the advantages and disadvantages of each service. In this specific video I will show you how to start using Cloud email by using a specific service, which will be revealed in this video. You will learn how to increase your email deliverability rates using the specific service, as well as how to increase your deliverability using several different options that are not necessarily required, however quite beneficial. In this specific video you will learn how to set up an account on this specific Cloud email service. I will also give you a quick overview of the site so you know exactly what youre getting into, what to expect, and how to set everything up to fulfill your email marketing needs. In this specific video you will learn how to configure the settings of this Cloud email service to best fit your needs, as well as an optional way to increase your email deliverability using your web hostings Cpanel WHM panel. Once you have configured the settings, it is set and done, and you will not have to configure your settings in the future. After you have configured your settings in the previous video, in this specific video you will learn how to organize the emails in a spreadsheet so you can ensure that when you import the emails into the email system, you will have no problems at all. And of course we will also cover how to import the emails into the email system so that you can be on your way to starting your email campaigns and begin emailing your email subscribers. In this Cloud email system, there are many different types of campaigns. In this specific Cloud email service, they provide three different types of campaigns. You can choose which type of campaign that you want to use in videos #seven, eight, and nine. In this video, we will be covering HTML templates, which is a type of campaign that utilizes built-in templates. In this video you will learn how to start a text only campaign. Text only means that there is no HTML involved, no images, or anything else aside from unformatted text. And if youre wondering which route is the best way to go, its really up to you and what your customers or subscribers are used to. Some people prefer HTML emails, and some people plain text only emails. If youve ever wanted to create your own HTML email without having to rely on built in HTML templates that the Cloud email service provides, this specific campaign is for you. In this video I will show you how to use a HTML web editor to create your own HTML email so that you can simply customize it however you like. Once your campaign is set up, its now time to take action, and start testing it and reviewing your statistics. In this video, you will learn how to send your first email to your subscribers. You will also learn how to schedule the email to send it out on a certain time that you specify. Youll also be shown how to view the statistics and what the statistics mean, so that you can effectively improve your email tests. 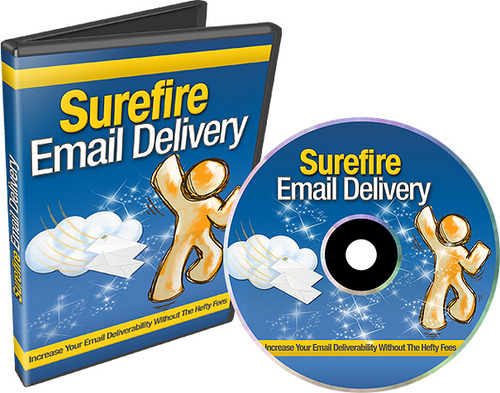 Surefire Email Delivery (with Resell Rights) email delivery;surefire email delivery 242333501 30.97 resellrightsvideos Fresh Download Available!